Air Europa is boosting its presence in Brazil with the addition of São Paulo to its network of Dreamliner destinations. Launching on the March 25th, Air Europa will operate its daily flight to São Paulo from Gatwick, via Madrid, with a Boeing 787-8. São Paulo will become the latest Dreamliner destination to be offered by Air Europa, following on from Miami, Bogotá, Santo Domingo, Buenos Aires, Havana, Lima and Tel Aviv; destinations on Air Europa’s network of Boeing 787-8 fleet; which transported over a million passengers last year. With the addition of São Paulo, Air Europa continues to demonstrate its commitment to Brazil, where it already operates flights to Salvador and, as of December 2017, to Recife. Air Europa is the first Spanish airline to incorporate the Boeing 787-8 into its fleet and currently has eight in operation. 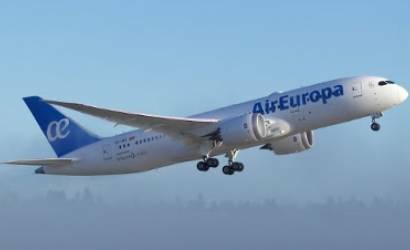 Following the renewal and modernisation phase of the airline’s long-haul fleet, Air Europa is to enter the second phase which will see the arrival of sixteen additional Boeing 787-9, from next month until 2022. Air Europa UK managing director, Colin Stewart, commented: “We are delighted to be launching the Dreamliner on the São Paulo route this March. The Dreamliner is specially designed for long-haul flights and combines the utmost comfort with exceptional environmental performance, which can potentially reduce the flight time by 40 minutes. The aircraft consumes about 20 per cent less fuel and generates fewer emissions than other similar-sized aircraft.